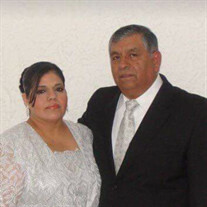 A memorial service will be held this Saturday at 2 p.m. at the Bethlehem Missionary Baptist Church in memory of Jose Isabel Vázquez and his wife Edna Rico Garcia, who both died tragically in an automobile accident in Waco, Texas on Monday, June 25, 2018. The couple have been sponsored for more than forty years by the Birta Missionary Baptist Church, working in Santa Catarina, Nuevo León Mexico with Misión Bautista Misionera Belen. Family members left to cherish their memory include, Juan Ricardo Vazquez Rico (son); Paloma Cecilia Martínez Ortiz (daughter in law), Paloma Valentina Vazquez Martínez,(Grand daughter ), Sofia Victoria Vazquez Martinez (Grand daughter) and Ricardo Andre Vazquez Martínez (Grand son); And Luís Ariel Natanael Vazquez Rico (son). Also, Patzy Edith Vazquez Rico (daughter); Owen Aldo Raul Moreno González (son un law); Aldo Jozafat Moreno Vazquez (Grand son) and Analy Itzayana Moreno Vazquez (Grand daughter). Birta Bethlehem Missionary Baptist Church, 14966 Old Hwy 10, Ola, AR 72853, and designated for the Vazquez family.